I will not be going to see Terminator Dark Fate, aka Terminator 6 in the cinema. Some films, and TV series, do branch well into a franchise. In fact getting future instalments in a franchise right is difficult to say the least. In film we’ve seen this with everything from Spider-Man and other superhero movies to Ghosbusters 2016. With TV one can’t help but wonder how anyone thought Westworld Season 2 was worth producing, likewise Keeping Up Appearances was terrific in its first season, but from season 2 on was stale and repetitive. Time Travel series, as we’ve seen with Doctor Who, can end up with drama that exists in a fantasy world with no meaningful stakes. At this point in the Terminator series my question is – how are you going to convince anyone to care for the John Connor of Terminator 6? Wheeling out Arnold in 2003 was a mistake. In fact T3: Rise of the Machines was a mistake. A misadventure best left forgotten. As a film on its own, in a world where T2 didn’t happen, it’s not a bad movie. But as the third instalment in a franchise, carrying a plot that is 90% identical to the previous two movies, it offered viewer’s nothing. It’s simply a movie that exists to undo the ambiguous ending of T2 and make way for franchising the series. In many ways it’s a disaster like The Matrix Reloaded which also existed purely to undo the ending of the previous film, and like T3 it lead into what can only be described as cinema hell for the next one. Aging the Terminator doesn’t make canonical sense. In Terminator 1, the T-800’s are according to Kyle Reece “brand new” so we can surmise they are a few weeks old, perhaps a few months old at this point. They’re not even called T-800’s on-screen, they’re called Terminators. 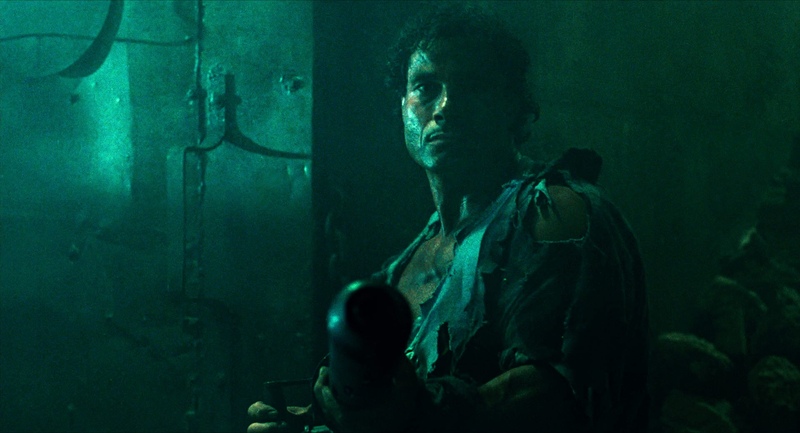 The flawless complexion skin of Arnold’s Terminator is suggestive of the mechanical character, and aging undoes that. Even they were to age, they are newborns – it’s not like their skin template is already 40 years old. Arnold looks much less like a machine then he did 35 years ago. 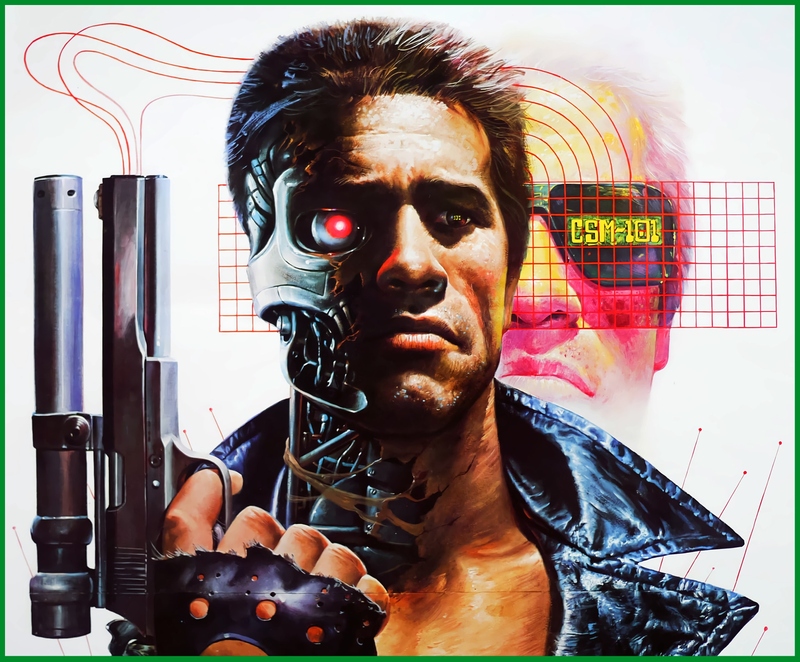 In the original the Terminator grows hair, and we even see him cut his hair in the original film, but he doesn’t grow facial hair and there’s no reason to think that he can – if he did he would need to shave in the scenes where we see him performing self-maintenance. So where are we? Well I don’t like that they fucked with the nature of the Terminators starting with T3. And I certainly don’t like that they fucked with the timeline starting with Salvation (you could arguable say T3 did that but honestly that’s neither here nor there for me). The Terminator was not a time-travel movie. It was a film about survival against machines, played out in the then-present. By the end of the film the timeline isn’t changed. Same with T2, although less clear the timeline is presumed to be left intact. You can’t change the past; even though T2 leaves us with hope for the future, and Terminator was not a film that challenged the grandfather paradox. Having made the mistake of seeing Terminator 5 in cinemas (and Blade Runner 2049), I do not intend to repeat that mistake. So let me ask myself, what other decent movies has James Cameron been involved with lately? That silence is why I will not be seeing T6.